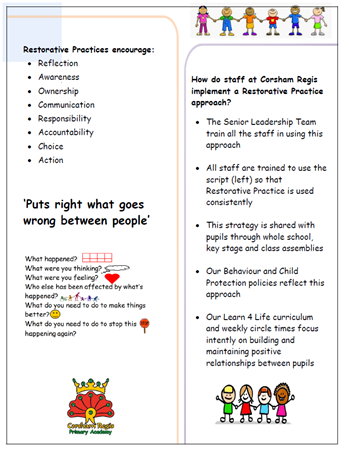 Corsham Regis is committed to preparing our pupils with the attitudes and values they need to live in the world around them. 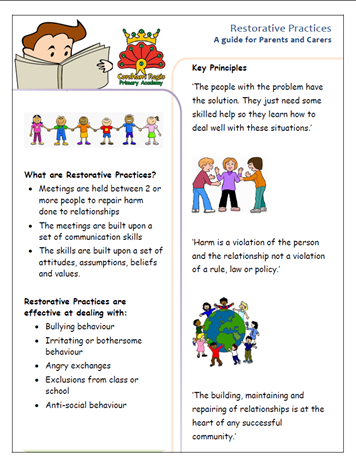 An initiative which has proven very successful in many schools nationally when dealing with incidents between pupils is that of Restorative Justice. The attached photograph outlines what this is and what it will look like at Corsham Regis when we begin to implement it next Monday.